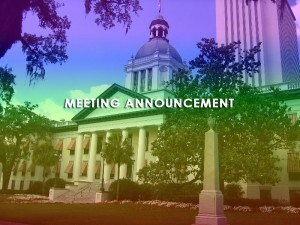 Every two years, the Florida LGBTA Democratic Caucus elects its leaders. These elections occur in two stages. First, regional meetings are held to elect one male and one female director, as well as their respective alternates. Later, at the biennial meeting held in each odd-numbered year, statewide officers are elected. The Regional Directors shall organize chapters in selected counties in their regions, shall coordinate Caucus activities within each region, shall maintain close collaboration with county Democratic Executive Committees, and shall represent the President, at his or her request, in functions and meetings within the region. A regional director shall maintain residency within the region from which elected; notwithstanding any other provision of these bylaws, failure to comply shall result in immediate forfeiture of office. Each region will be electing one male director, one female director, one male alternate director, and one female alternate director to serve on the Board of the Florida LGBTA Democratic Caucus for a period of two years. Any Caucus member in good standing is eligible for election to one of these positions. Nominations for these positions shall be made from the floor on the day of the election. The gender of the persons involved shall be by self-determination. You must be present to vote. Absentee, proxy voting, participation by teleconference or other remote method is not allowed under Caucus Bylaws at this time. The term of service begins when the convener certifies the election at the close of the regional meeting, at which time the elected directors and alternates must sign the FDP-prescribed loyalty oath. For more information about the election rules and process, please refer to the Caucus bylaws or contact the Caucus parliamentarian with specific questions. As mentioned above, Caucus members must be in good standing on the day of the election to be eligible to run for the office of regional director or alternate. Caucus membership fees for 2017 are due and payable by December 31st, 2016. New members are eligible to vote and run for regional director if 2017 membership dues are paid and received by the Treasurer by the day before the regional elections. Note that the Bylaws require that all current officers must renew membership by December 31st. If you have not already renewed your membership, please visit the Florida LGBTA Democratic Caucus website for information and options for payment. Thank you for your participation!